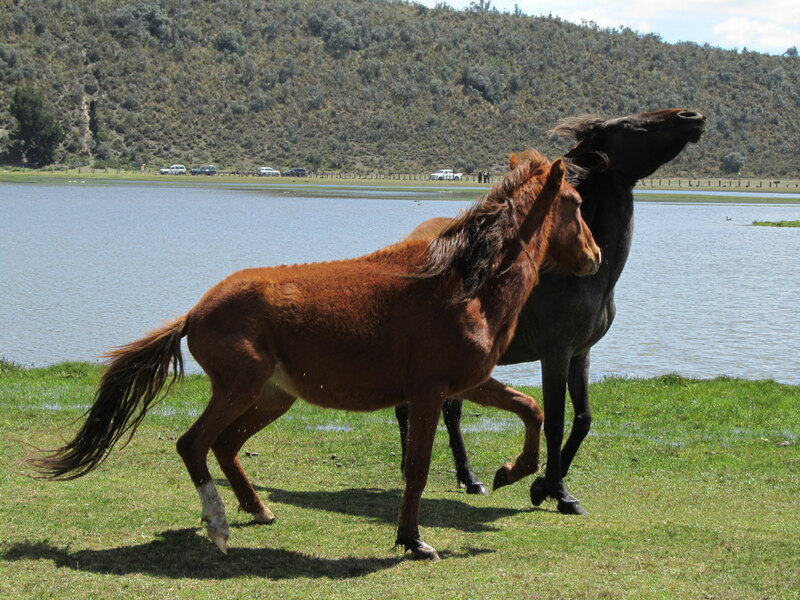 Today marks the start of the Year of the Horse and a year of free-spirited, high energy and unexpected adventures. Things will be moving quick, so decisive action will be your friend. Get ready to make some leaps of faith, let your heart loose, and cultivate a strong and focused will for action. You’ve been dreaming it, now you can have it. 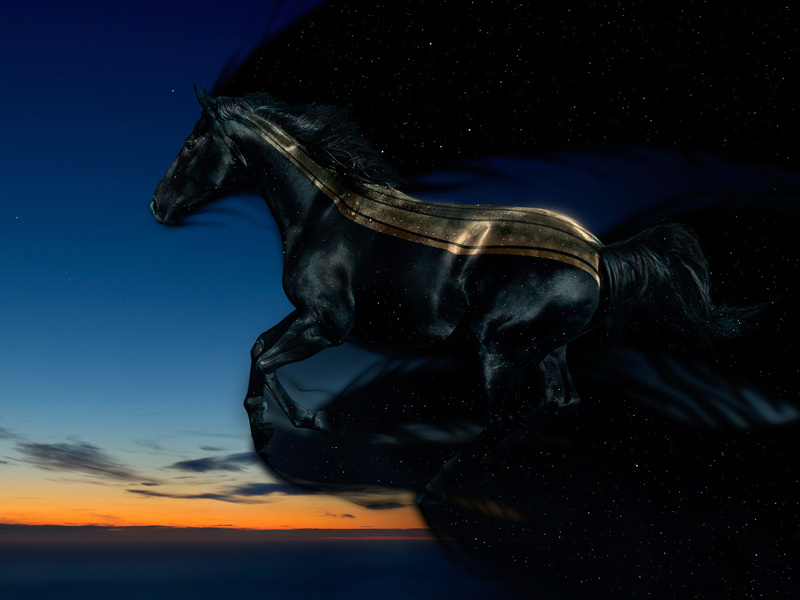 The magickal Horse has the ability to see you flying by year’s end if you listen to those instincts. And a Happy Birthday to my mom who turns 71 today on this turning of the year’s wheel! YAY!! I just found out she is also a Horse in Chinese Astrology. How cool is that?! And a Water Horse, which synchronously aligns with this image to the right I had already put into the post, previous to finding this out! Wishing everyone fulfillment, blessings and abundance abound, and an inspired year into recognizing and embodying your freedom and wholeness!! I’ve already written and shared quite a bit about this year – one in which I’m super excited about (I now know why I was a year ahead of myself last year). 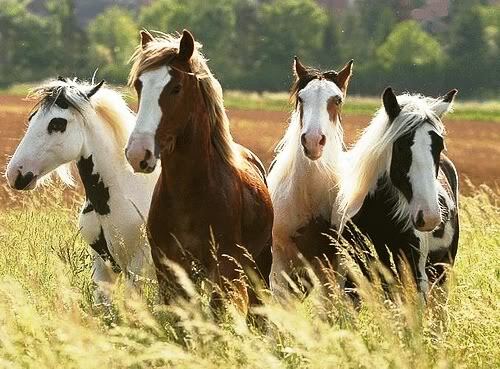 So I thought I’d share these magickal images, specifically chosen for their essence, for you to gaze and reflect upon, as you draw forth your own inner horse and allow her or him to speak to you from the depths of your being. 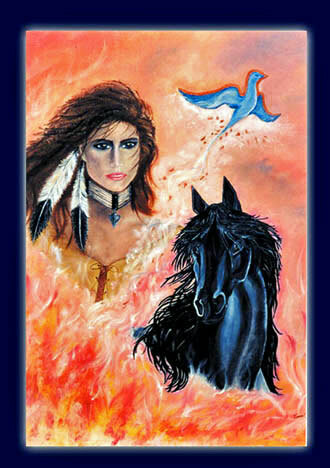 Each of these horses has a message that will draw forth a quality for you to empower and embrace more. And when you do, you will feel more enlivened as the beautiful and unique soul that you are, and how your individual gifts collectively weave. Let your individual light shine wildly out loud! Every day of the year is opportunity to give from your heart and share love, but sometimes those marker days are an added bonus reminder to turn up the gratitude meter. As we approach Valentine’s Day, which many people enjoy celebrating, you might be thinking of ways to indulge your loved ones, and maybe even yourself, with some of the chocolate love this day has become synonymous with for many. And if you happen to also be vegan, there is no longer any reason you can’t enjoy all the chocolate bliss along with others, while also supporting the environment, animals, and your own health and well-being with pure, organic, cruelty-free ingredients. 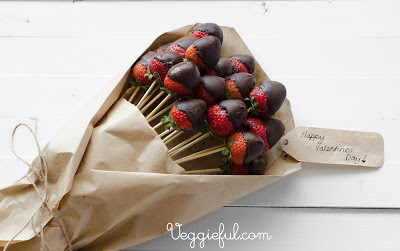 My friend Celeste has a great vegan blog called “Honk If You’re Vegan” (where she blogs about all things vegan from recipes to reviews, ramblings, health and nutrition) and she shared this “yummy” post on Vegan Chocolate Valentine’s Gifts I hope you’ll enjoy. She provides several great gift options at affordable prices. They all look amazing! Some other options, which also include some raw vegan chocolate, include (but not limited to): Coracao Confections , Sacred Chocolate , Lulu’s Chocolate , or perhaps your own basket mix of scrumptious chocolate bars from Righteously Raw Chocolate , or the amazing Kate Magic’s Raw Living assortment of ethical, high-vibe chocolate (which I just got to sample when she brought me some from the UK). However you choose to celebrate Valentine’s Day, or (like me) any day you would like an infusion of decadent pleasure, you can enjoy your chocolates without compromise and with a lot of intentional love. Enjoy!! 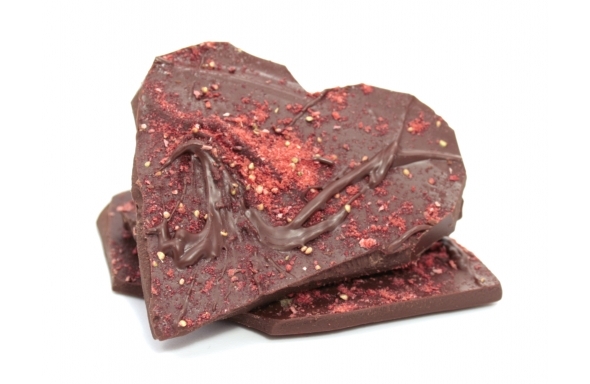 A hint of vanilla mingles with fruity strawberries and smooth dark chocolate in this romantic, gluten-free bark. This would be a thrifty choice at $15.00 from Allison’s Gourmet. 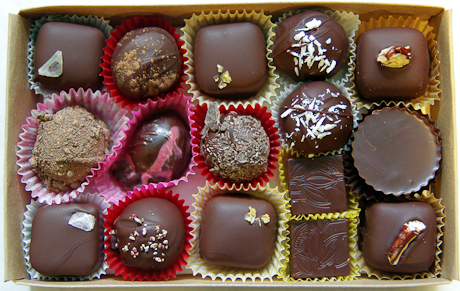 A fabulous selection of 100% fair trade, organic and vegan truffles, bonbons, caramels and toffee. This looks like a great pick, and I love that the company combines a deep commitment to social justice, environmentalism and animal rights with an obsessive commitment to artisan techniques of a chocolatier. $32.00 from Lagusta’s Luscious. Simple. Perfect. 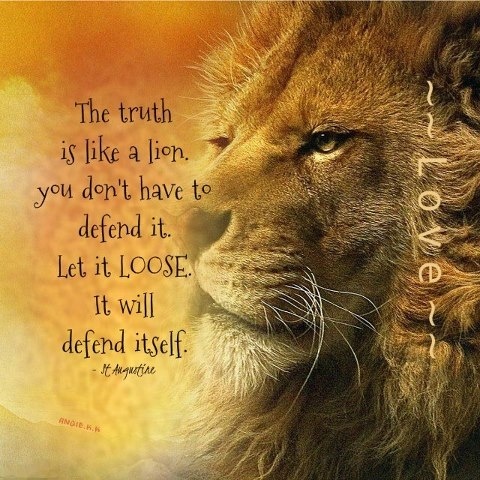 What is your authentic truth? Embrace it. Embody it. Express it. Nothing else is needed. ❤ Thanks Laura! I, personally, happen to love working with Animal Spirit Guides and it is something that comes through all the time when I work with clients doing Reiki sessions. And of course you know animals are most enjoyable for me to channel through my paintings, which is why I created the series – Universal ARKitecture – a series of Power Animal Spirit Paintings. 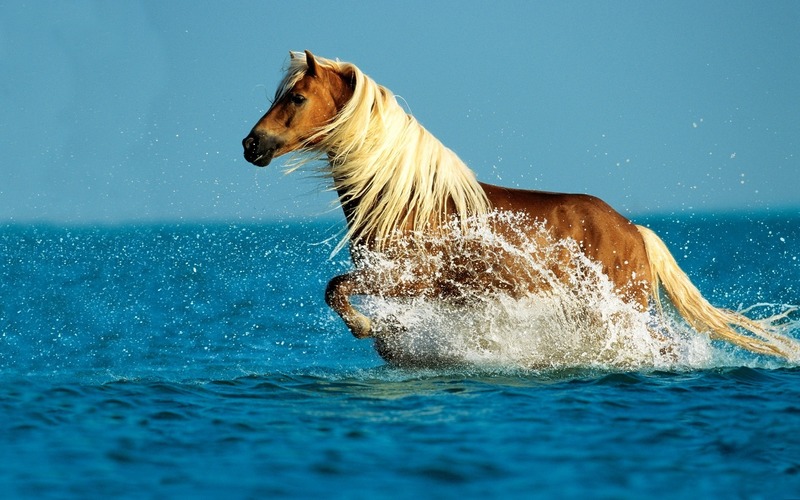 This month is quite a fully packed one that graces us with the rarity of two New Moons, as well as kicks off the Chinese New Year of the Horse, while we catapult into 2014. Tons of supportive energy on our side and the equivalent of two fresh starts! But, since I see every moment as being an opportunity for renewal, let’s just say you get an extra energetic gift in your back pocket to propel your new beginnings! The New Moon tomorrow on January 30th is a celestial phenomenon called a Black and Super Moon – Black Moon because it’s the second of two New Moons in the same month. It’s also known as a Perigree Full Moon meaning it will appear in the sky up to 14% larger and 30% brighter than on any given day. And so what can we say about this New Moon energy in the sign of Aquarius? Well, you can bet there is a focus on unique expressiveness, standing in your authenticity and individuality without need for approval, yet simultaneously merging that in partnership with others for the collective highest good, tons of new seedlings that you can cultivate and envision towards the personal invention of your future reality, and a lot of stepping out-of-the-box and out of your comfort zones to go all out with your eccentric self, realizing that the more you do so, not only will you embody joy and abundance, but others will energetically answer the invite to do the same. I find New Year’s resolutions, while helpful for many, are a thing to learn to incorporate into every day of your life because when you commit to progressive change, in general, you will find every moment to be packed full of powerful possibilities you don’t have to wait on implementing. So, if you have started dwindling with resolutions already, this New Moon is another powerful reminder and supportive nudge from good ol’ Aquarius to live out loud and dream a little dream into being. 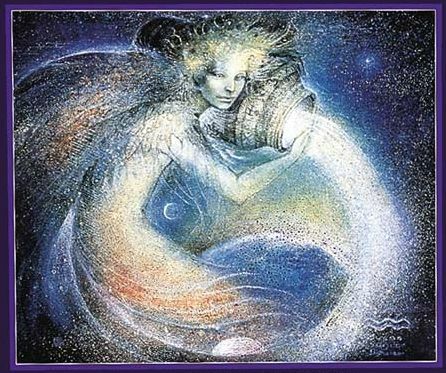 This is a chance to reconnect and re-root your ideals and ideas and ride the jet propulsion of progress that Aquarius’ Air element can breathe into you – a little wind beneath your wings and a lot of inventive ways in which to implement. Your mind is keen right now in being able to have the vision, even if you aren’t yet sure about how you want to feel, and this can help you to make adjustments for actualization to take hold. Aquarius is a free-thinker and a no-fearer so get ready to do the unusual, the extreme, and the remarkable because expansion of possibilities is available to those who aren’t limited by what society has accepted as norms. Invent a new way! People who stretch their mind, can free their mind. 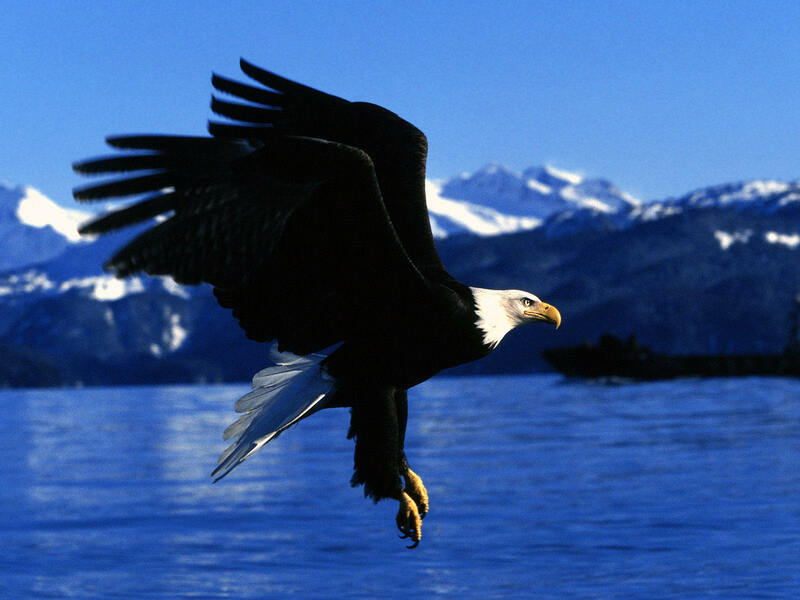 And where freedom lives, is where you will thrive. This is quite the Moon for opportunity, as there is also a Sextile to Uranus going on, which means the biggest obstacle will be yourself. So get out of your own way and pour loving support and trust into the feelings and inspirations you are, and have been, having. Keep an eye on signs that are constantly coming at you and helping to point the way. You have all the guidance you need, if you are willing to see it. Sometimes these are subtle, but with Aquarius around, watch out for the electric! You may receive lightning bolt flashes that will be crystal clear or loudly felt. Some will knock you around a bit to shake things up and supercharge you into action. You could even receive a little shattering charge – think Tower card in the Tarot. Opportunities will show up and offer you their helping hand or open a door, but it’s up to you to embrace the invitation and say yes to YOU. I love Aquarius energy. I have a mom and brother who are both Aquarians and I have two strong placements in the sign of Aquarius in my astrological birth chart. I know about having strong ideals and intentions, and a bunch of quirky and surprising energy to add to the spice of life’s experiences. But when you go with these elements, rather than try to rein them in or deny them, the sky’s the limit and something exciting can be around every corner! Extra new inspiration that can be life changing may become available to you during this energetic period around the New Moon. Things can really become illuminated and then it’s about acting on those flashes of insight received and gently hugging those fears goodbye for good. You have the ability to really connect with your higher mind right now, so spend some time in your sacred space and in the serenity of your inner sanctum, to receive the inspirations wanting to come through. Then trust them! 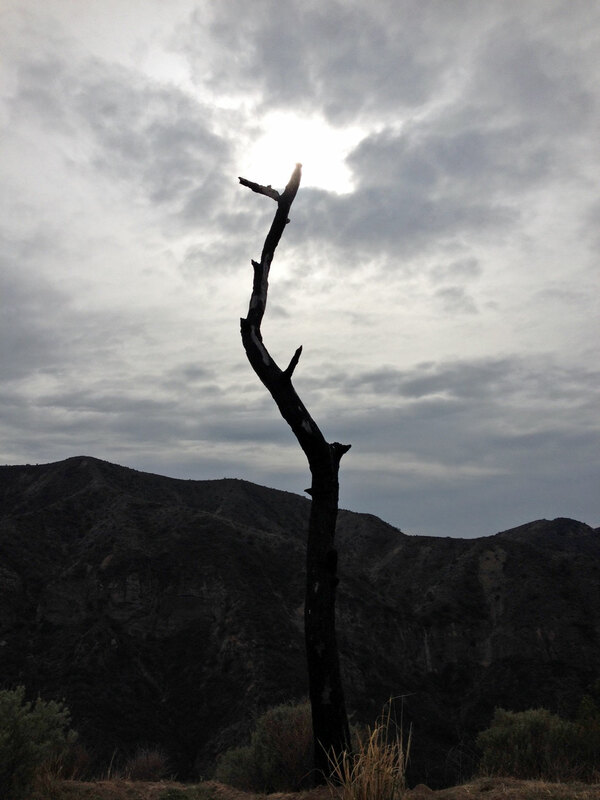 Trust and faith are needed in order to create the personal security to step forward into the liberating unknown. It doesn’t come from outside of ourselves. This kind of peace comes from your own sense of self you are being guided into cultivating and expanding. We must be willing to go into our own inner mysteries and shadows to see what electrical sparks we may ignite from these courageous depths. Be ready to try something new. Get in tune with your personal identity and how you can share your unique gifts, as service in humanitarian ways. Challenges will be solved when you look to the non-obvious, keep hope in your heart, vision focused forward, and brother and sisterhood as the friendly smile you carry in hand always. Unconditionally detached and platonic love are focuses, with the desire to reinvent and recognize the value of friendships and community. Establish your personal boundaries so you can move with confidence in the sea of others and detach from the past and destructive behaviors that have been keeping you in the “holding zone”. 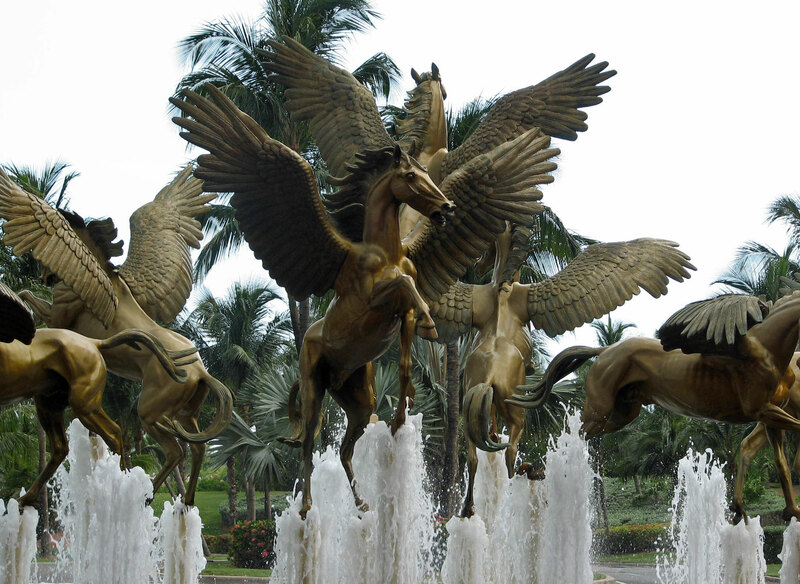 Year of the Horse is Upon Us – Ready, Set, Go! We are officially coming up on the transition into the Chinese New Year – now just 3 days away – so even though I posted my take on the upcoming energy of the Year of the Horse back in December as a forecast, I figured now that it is upon us, you may want another look at what we are rapidly catapulting into. Chinese New Year is considered the most important and longest celebration in the Chinese calendar. 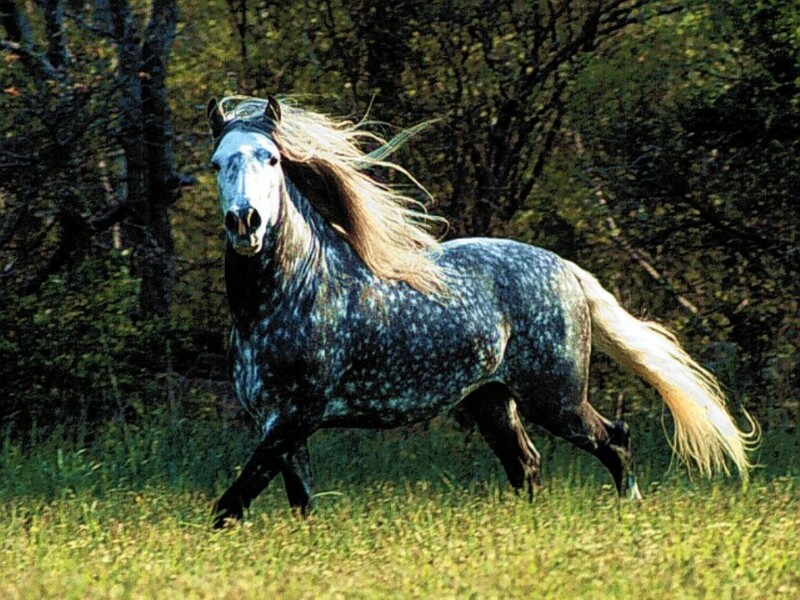 The Chinese year, 4712, will be on January 31st, 2014 and is the Year of the Horse. The celebrations are also known as the Spring Festival. Chinese months are established by the Lunar calendar, with the beginning of the month designated as the darkest day. Traditionally, the New Year festivities (a 15-day festival) start on this first, darkest day and continue until the 15th when the moon is brightest. The way animals were brought into the celebrations is based on legend about how in ancient times, Buddha asked all of the animals to meet him on Chinese New Year. Twelve animals showed up and Buddha named a year after each of them, sharing that the people who shared the same year of birth with one of these animal’s years, would also share some of their personality traits. Needless to say, many of you I know are also, like myself, feeling 2014 to already be quite the year! I’ve mentioned before how last year I was already living in 2014 (not feeling I was on the 2013 timeline) and so it is interesting to see all of the things that were being set up for this year, actually start integrating into being, and continue to. There is a sense of enormous creative explosions and huge leaps forward that are, and will be, taking place. Indeed a year for things many of you have been working towards, to come to fruition and for living finally from your joy and complete freedom of choice, as the old contracts are over. This is the beauty of the Horse and that unbridled passion that can ignite your life, if you have the courage to trust it. Apparently, one of the traditions for the Chinese New Year is to decorate your home with trays of tangerines and oranges (auspicious Chinese New Year symbols), which are also brought as gifts from visitors during this holiday, for they are an abundant symbol of luck and prosperity. It just so happens that February is when our tangerine tree is ready for harvest and so, synchronously, our home will be filled with the sweetness of these sun-kissed fruits, as we gallop into the Year of the Horse. I had the chance to meet this spirited horse you see to the right, whose name is Eragon, just a few weeks ago. I was drawn to him by his energy and when I learned his name, I had to smile, since I have a particular connection to the movie that shares his name. It definitely felt like another sign coming through for me in our meeting, as there were messages provided in that movie from my dear Nestor, before she transitioned, that were many-fold. Some of which specifically speak to what is coming to be at this time, and in this year. I’m feeling the power of this moment very much so. How will you be riding into change this year? 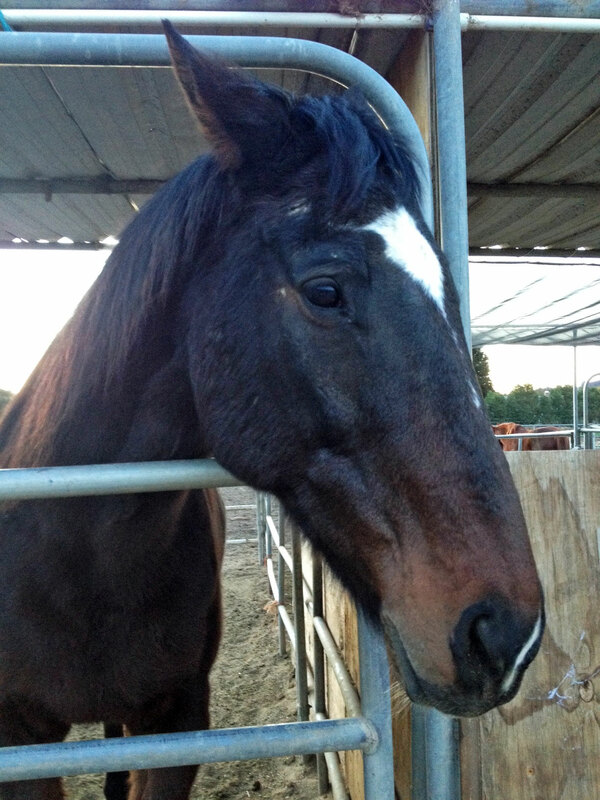 Reining yourself in or taking off the bridle and reins and letting your inner horse run to the beat of your heart? This weekend was one of those especially “on point” and magickal messaging kinds of weekends. You know, those times when everything messages you in very poignant and serendipitous ways. This happens a lot, the more we become present and conscious about our lives and see meaning in all that is within and around us. For me, these experiences this weekend provided great clarity and confirmation with my own life directions. 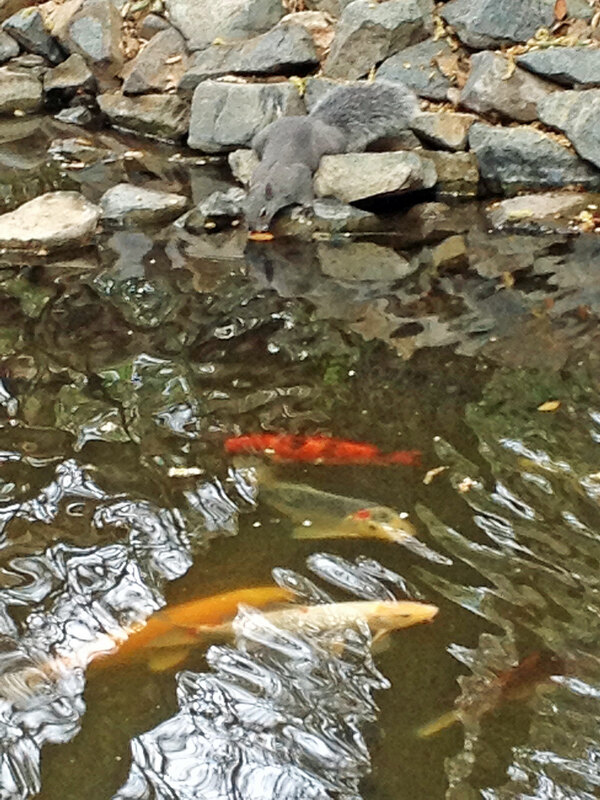 I was grateful for Nature’s powerful and timely messages too, which included a gorgeous Rattlesnake again (which happened to show up in the middle of the path, not long after I had murmured the words, “snake medicine” before our hike) and at least 6 hawks, along with some Koi, Squirrels, and Slider Turtles that were a joy to see out at a sanctuary explored. Each appearing in perfect timing and providing a piece to the puzzle I was exploring. These lovely friends, and many other uncanny experiences, came after Friday kicked off in beautifully resonant flow with our Reiki 1 and 2 Accelerated Workshop. I can’t thank everyone enough that came and infused their gifts into our shared experience. I feel so honored to assist in the journeys people are embracing and truly excited for what is unfolding for each. Teaching and guiding in a mutually co-creative experience where everyone’s gifts bring value and growth, is one of my greatest joys. This is something I actually share within each workshop I teach, and Friday was no exception. So it was very beautiful to share this feeling with Denise, Shakti, and I know many other teachers who feel the same. Being a teacher also entails being a student simultaneously. Teachers commit to a path where growing and learning takes place in a more public field of experience by embracing this vulnerable way of sharing. It’s extremely empowering and enriching for everyone who shows up. And showing up is something more and more people are doing and it’s exciting to see and hear it. We can each also teach by the example of our own lives, every day and in every experience we have. There are so many wonderful opportunities to share your beautiful self with the world and to cultivate more of the gifts and expansion you are wanting to hone in on and bring forth. And the more we embrace and share these gifts, the more the Universe gifts us with messages and support that chime in when we need them. 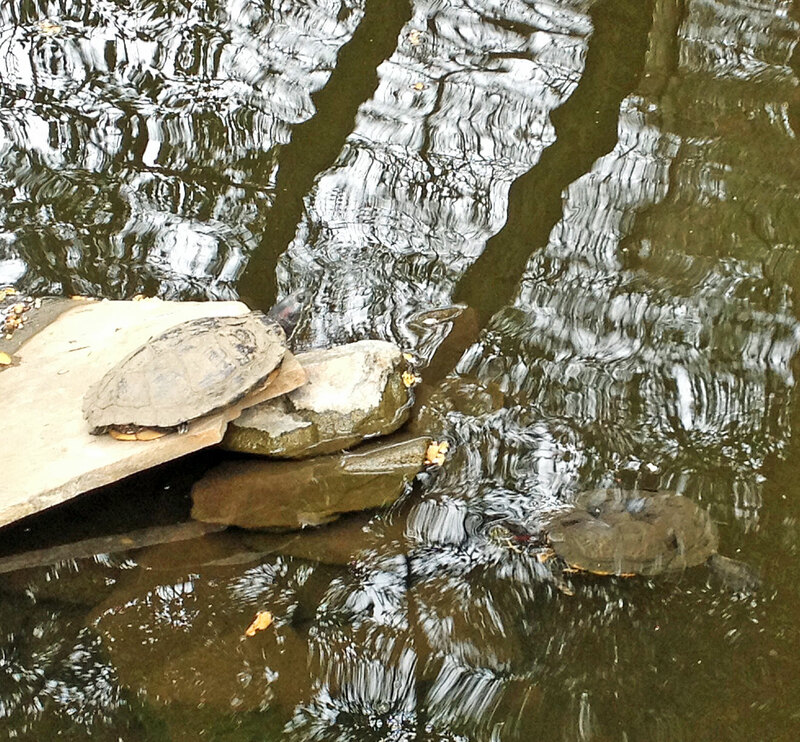 These come through synchronous encounters and experiences that draw your attention. And the more you acknowledge and share gratitude for the messages received, the more you tap in to your innate abundance. I feel more and more gratitude each day for all of the wonderful experiences I get to share in, the beautiful souls I am graced in life to meet and work with, and the amazing ways that life explodes in chime with the beats of my heart. It is love manifest in more than words can express. And the energy is really amping up. At least that is what I feel. The field of experience feels very fertile and potent. If you’re feeling it too and you’d like some support with things you are creating right now and shifts you are making, don’t forget about January’s Special (which I call Tania’s Offering of the Month – a new one to come February 1st). Distant 20-Minute Enhanced Reiki Sessions offered at 40% off. Regular price $75. So you can get one of these for only $45, which is a $30 savings. Just for this month I’m offering a 3 package special for only $135. That’s a savings of $90 from the regular $225. And, don’t forget about the upcoming Reiki Renewal Retreat in Laguna Beach this March. If synchronicity is leading you to embrace the path of Reiki for yourself, then this may be the opportunity and nudge for you. Whether you are local or from out of town, this will be a beautiful way to immerse in expansion and deeper connection. All registrations need to be in by February 28th, so that’s just a month away. The Retreat begins Thursday 3/20 and ends Monday 3/24, but remember you can come for just one or both of the training sessions on either Friday and/or Sunday. This is a chance to get your full Reiki certification in all 3 Levels, or just come for the first 2 Levels. Each Initiation Attunement will open you to a higher frequency of being. I can take about 4 more people for the workshop days and 2 more people for the full weekend accommodations. This is going to be a really fun experience! Also, I’ll be teaching a Reiki 3 Master Teacher Workshop on Wednesday, March 5th in Costa Mesa by request of a client so if you’d like to join, you are welcome to as well. I am able to teach 7 days a week, as long as the days align with both person requesting and myself. So sometimes a workshop like this will pop up and anyone wanting to join is more than welcome, whether past or new student. Being this is during the middle of the week, I anticipate it will be a very intimate experience, so if you prefer learning in this type of environment, this may be the perfect day to join, if it happens to align also with your schedule. If you’d like support with any of these, please message me at tania@taniamarie.com so that I can be of assistance. Are you feeling, or have felt for a long time, a certain calling and urging from your heart that is becoming increasingly loud and unavoidable? There are many ways our bodies and the experiences we encounter, both as triggers and as beautiful phenomena, are trying to get our attention. Sometimes it is a constant message that comes through others, things you read and see, or people finishing your thoughts and answering your questions unspoken, but deeply felt. I keep hearing from people that are opening their hearts to the experiences within that want expression. I love this!! And I am excited to know that many are ready to take the plunge into the waters of their dreams and loves. Sometimes the step you take is simply getting you to the next leg of the journey and not the destination itself, but taking whatever step toward the essence of you, will be rewarding and provide you the next clarity needed. For me, every single moment is full of powerful messaging and symbolism that I have chosen to take to heart. Maybe that makes me seem a bit off to some, but regardless of how you may view my approach to life and messages/signs, I sure have fun, which if that is the only blessing, is quite a blessing I’ll take. Thank you! And I’m definitely not getting stuck, because I keep moving. Energy is ever-flowing, so why do we think we would be any different since ARE energy manifest? You ARE in fact receiving the support you ask for and the answers, as well as the guiding hand, but you may just not want to embrace the way it is coming through and so you explain it away, until the message no longer is one you can deny. Many want the answer to come in black and white handwriting on the wall, but have a filter on how that writing needs to look. How is life messaging you? Signs, answers, and synchronous messages don’t have to be profound. They can be as gentle as the kiss of the wind that suddenly rustles through the leaves and across your cheek right as you explore a thought and ponder a question. I’ve had such a beautiful journey with this latest sacred tattoo design. I can’t express the beautiful flow that was experienced, but perhaps you will feel it and more by sitting with the reflection of its energy. Once again, the timing was so divine with this piece in so many ways and beautifully came to closure the even before I was teaching a Reiki 1 & 2 Accelerated Workshop this past Friday. Each design is always infused with Reiki, but this one was definitely part of the initiating energy, which is perfect for the celebration of renewal and expansion it reflects for my beautiful client. As I expressed to her, I truly felt it to be a dance of energy that felt liberating and expansive with so much potential. And since the designs are a shared experience, it was a really special journey for me to receive these blessings as well. With each of these, I feel that I too get to share in the shifts and blossoming that are taking place so it is like the blessing of Reiki, where each person gets to give and receive within the exchange shared. The design (which will grace her back, extending from upper left and flowing down and touching her right lower back and hip/waist) is a blend of organic with stylized/henna woven in. I felt that something both ethereal and extremely graceful and flowing – almost like a feather (which is sort of how I see the bigger picture of this design – not just having feathers in it, but like one giant feather that has come to tenderly kiss the skin of my client’s back, as it floats there. The organic comes in mixing some aspects of realism with the woman’s face and hand holding out the lotus, as well as the head of the peacock and a few of its feathers that are emerging from the ethereal quality of the others. So it’s almost like that bridge between Earth and Cosmos and that integration of divinity embodied within the human body temple. I created sort of a Mandala design around the woman’s head and peacock’s head of stylized lotus and feathery aspects (doubling also as her hair cascading and crowning her with feathers and lotus), which also create that expansion of consciousness and emanation of the Crown Chakra energy blossoming. And the woman and peacock are resting into, and cradling each other in beautiful union – both looking up with confidence, clarity of vision, and serenity of being. The woman is my client and an aspect of her in her wholeness she is stepping into, which is evident in the design cocooning around her, but simultaneously blossoming around, as she emerges from this dance of life, newness, opening, and partnering with the parts of self within – represented in the design, including the peacock. 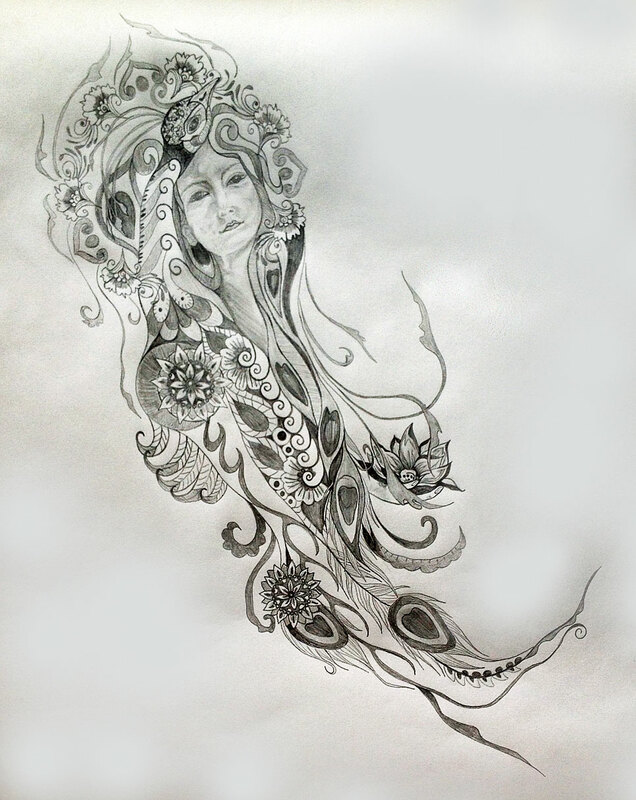 After creating the design, I saw this aspect of the woman to be like that of Kuan Yin – Goddess of healing and compassion- and how she is often depicted with/as peacock. I didn’t actually set out with Kuan Yin in mind at all. The woman that came through I saw as an aspect of my client/and her soul/higher self in wholeness – the Goddess within. Perhaps I was seeing her in another life, but when I placed the image next to a photo my client had sent me of herself, there was indeed a soul essence signature resemblance that was remarkably there in what had channeled through. It was later, as always I find these surprises, and that I realized the connection of Kuan Yin and the peacock, not to mention qualities and aspects that my client was personally intending to create. So that is how these images are so multi-layered and at each turn there is something new and different to discover depending on the energetic perspective of the moment. The peacock represents a symbol of integrity, the beauty we can achieve through showing our authentic, true colors, guidance, protection, holiness, nobility, vibrancy, helps you on your spiritual path, breathes new life into your experience, rejuvenates self-esteem, expands your creativity and imagination, and speaks to your courage to show up as your unique self. It also symbolizes glory, vision, watchfulness, royalty, spirituality, awakening, immortality, refinement, beauty, desire, enjoying life, generosity, longevity, compassion, sensuality, immortality, and expansiveness. In Buddhism the peacock symbolizes expansive consciousness and is representative of the all-compassionate goddess Kuan Yin. The eyes of the peacock feathers symbolizing the omniscient essence of the soul that is all-seeing and all-knowing. As a royal status, peacocks represent the realm of the Empress and High Priestess. Being a solar animal peacocks express the essence of vitality, radiance, glory, stimulation, life, health, and invigoration. I had this vision of the twin soul aspect within, merging into wholeness and that is this beautiful love affair depicted between the woman and peacock and how they merge into, and from, One. Within the feathery design of the peacock’s brilliance there are spirals of life, lotus stars, and some stylized waves to symbolize water cascading down from the combined Moon and lotus symbol at left. The lotus I found, after I created it with the Moon there, to double as the Sun (like a lotus Sun star), which then again is integrating those aspects of duality as One. There are many layers to the design (along with symbolic meanings), which are the many layers and roads of the journey and the complexity of what makes each person unique. Rather than have everything very solid, I created “space” between a lot of the design to allow for movement, flow, flexibility, change, and lightness (also that time between time and void space of creation) – this all creating more femininity and an ethereal quality to it, while also having those touches of the actualized portions peeking through (like the realistic peacock feathers, her face and hand, and peacock head) for grounding and manifesting stability. It is a blend of being able to use alchemy to walk between worlds and create anything the imagination desires. There is also the symbolism of growth, shamanism/shapeshifting, abundance, courage, strength to shine and bring forth that vulnerability of heart from the depths, spiritual groundedness, willingness to always be open and to evolve, and a bit of the mystical and mystery that creation has in the way it can reinvent itself at will and doesn’t reveal everything at once, but rather is always in a “process”. This beautiful process is what is captured, demonstrating that each step of the journey is perfect and whole. 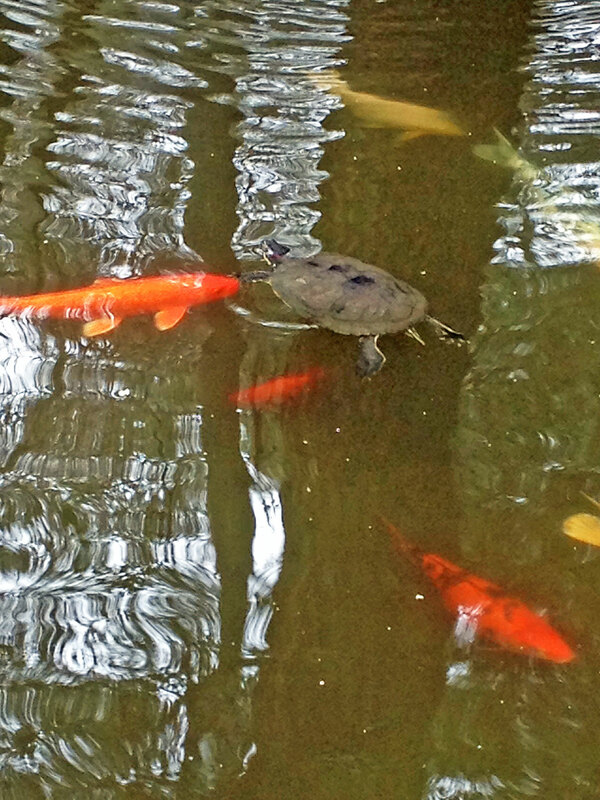 The image appears fluid and in constant motion, which is the dance of life – ever-shifting. There is always so much more than I can express and some things that are personal to the client that I leave out, but my hope always is to capture an essence snapshot with the designs I create, that have the ability to shift experiences through their sacred symbolism and the portals they open. I am so excited to hear that my client has already felt the activations ignite, upon her time spent with her design over the last couple of days, and I cannot wait to see it as part of her skin. I continue to excite with her at the beautiful journey she is creating and sharing. I love what I do and and am grateful that I can be of service in this way by doing something that is so meaningful to me. I cherish my clients and the ability to share this gift. Remember that the new rate is in effect since 1/1/2014 and there is currently a waiting list. You can easily make your deposit at the link provided to embark on this journey in partnership with me. I love this story and I think many of you will as well. It’s a longer read, but so well worth it. I’m grateful for Laura sharing it and for Ann and Mitch that encouraged her to read it so that it found its way to me too. Today has been one of those very synchronous and poignant days and this story is simply perfect. I think many of you will find it deeply inspiring. 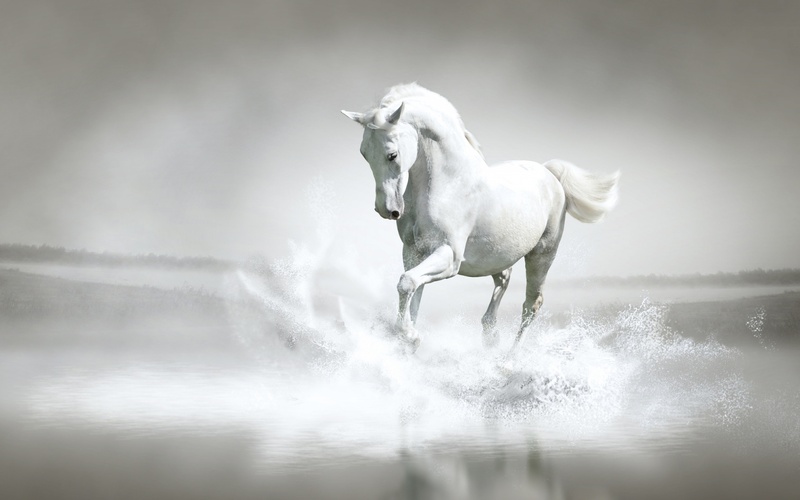 Something nudged me this morning to repost this blog, as I was feeling Unicorn symbolism prevalent, likely because of our entering the “Year of the Horse” and also due to my exploring the vibrations of “purity”, “innocence”, “love”, “magick”, and the “seeking of natural truth”. 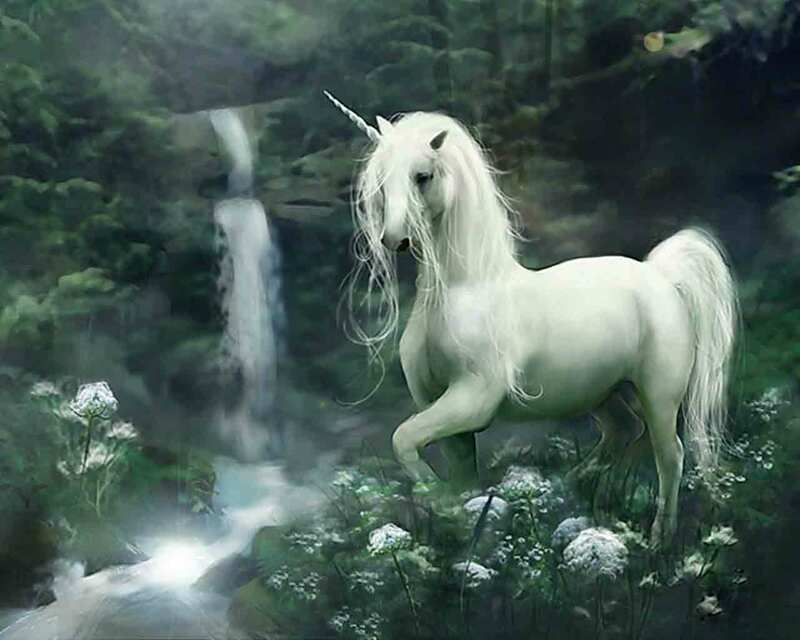 Unicorn helps us to see with fresh eyes and release old patterns. This coincides with my musings lately on the meaning of “virginity” and its correlation to the constant opportunity for renewal in every single moment that we each experience. I feel that we have the ability to access self-purification through an alchemical process we can self-initiate in each creatively potent “now”. Joseph Panek so beautifully expresses this in his wonderful post “The Unicorn As A Symbol”, which is such a simple, resonating, clear, and thorough expression of the Unicorn for me and what I’ve come to understand her as. Along with my repost blog, you may enjoy reading his thoughts at “A Seeker’s Thoughts“. 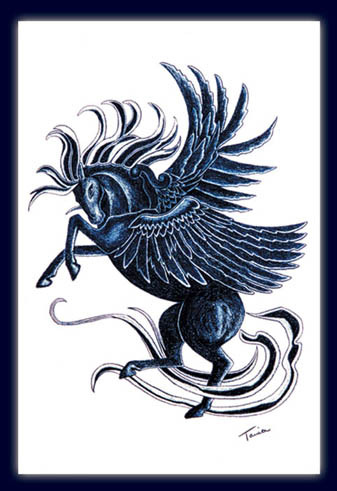 I believe the Unicorn has a powerful message for us right now in its non-definitive, but multi-variant symbolism, as Jung shares from his studies. When we have an open and trusting heart we are able to follow into the realm where the You-nicorn dwells, and there we will discover our trueness.